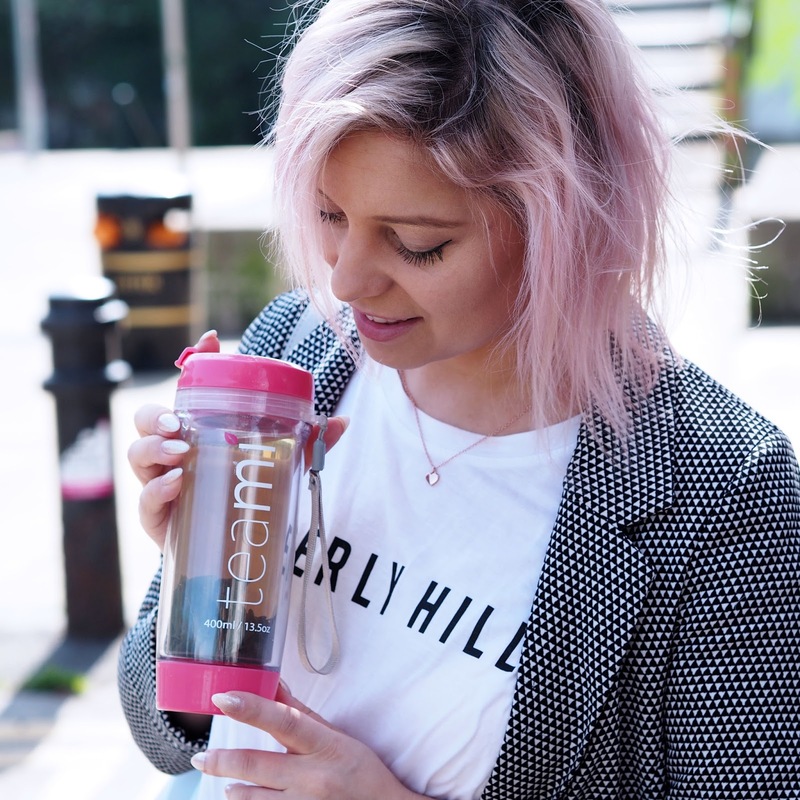 Last year, right before summer my Facebook was flooded with advertising of the ‘revolutionaries’ detox and diet tea’s that helps you with bloating, skin and general weight loss. I was intrigued! I bet most of my female friends were intrigued too! Why we wouldn’t be??! 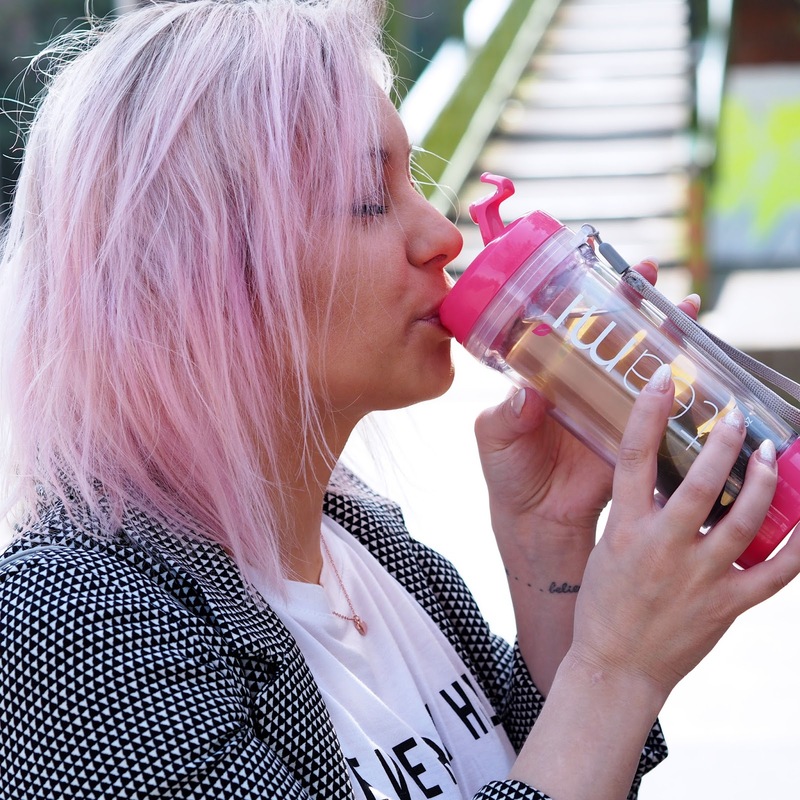 Sounds easy, you drink tea in the morning and in the evening and then magically the scale number is down, your skin is beautiful and just by judging all the skinny and tanned beautiful smiley girls, who hold a cup of tea is must a pretty genius option isn’t?? Well, I decided to try! 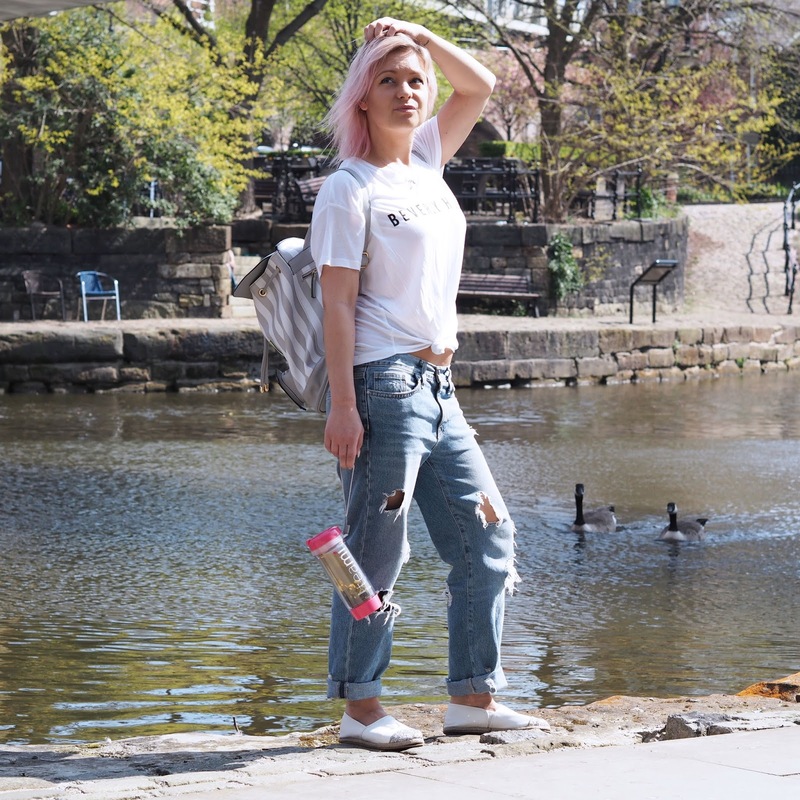 As a blogger, I am fortunate enough to try some products and test them! 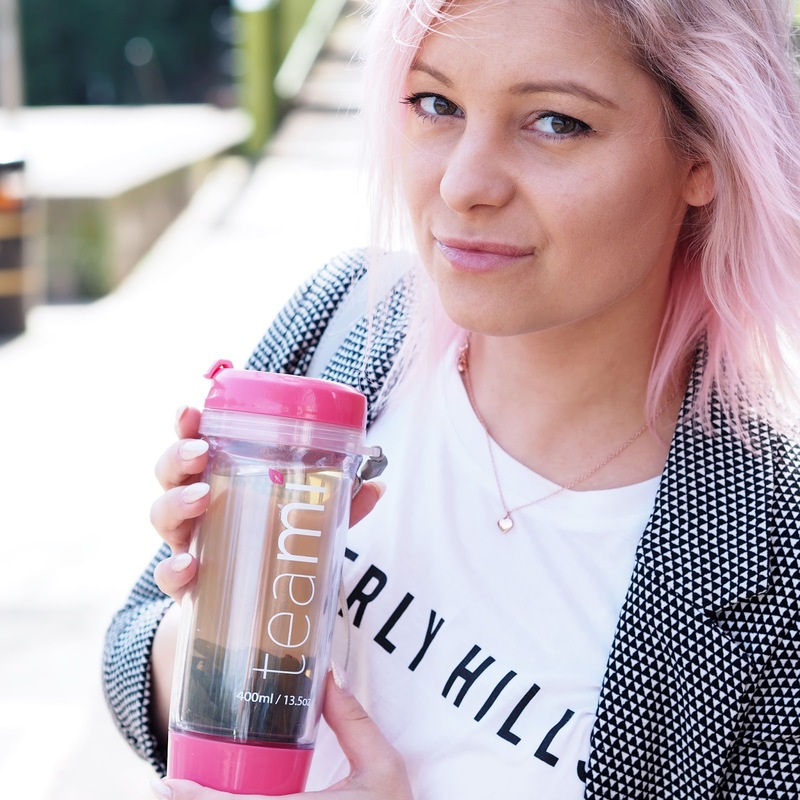 So here, I was sent a month detox of a Team Tea Blends! Please don’t judge the post over my perfect shots! I just love photography, smiling and posing! Please read carefully the review if you really want to know what I think! Day1: I started straight away, despite it was an afternoon and I should drink in the morning. I just couldn’t hold it, I want to taste it! I am a huge fan of tea, and I can drink any tea without a grim and I found this one really tasty actually. I first used in just tea cup rather using the tumbler. I expected to be stronger but is actually quite mild and easy to drink. This day nothing major happened. I enjoyed my tea and that’s about that. Day2: I have read the instructions at last! I have brewed my morning tea for about 10min in my tumbler, then put the cap and left home to go to work. 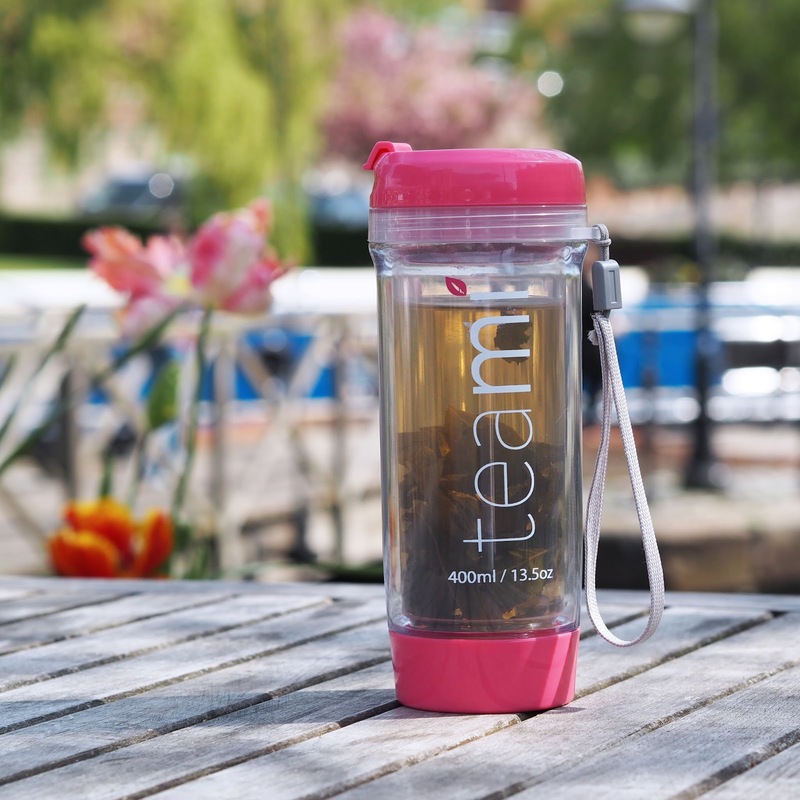 The tumbler have amazing mesh insert so no faffing with tea bits in your mouth! I sat on the tram station waiting, I didn’t have the breakfast yet as I do eat breakfast in work (preferences 😉 So, I decided to have a sip. then, I experienced a massive pain! I have burned my tongue! Silly me!!! The tumbler have 2 layers, inside one you have your tea and second is not to burn your fingers but idiot me (or let’s call me nicer, not a mooring person) forgot to switch off my brain and rather check the temperature I took a massive sip of perhaps still around 80degrees water! PLEASE DO NOT DO THAT! Once it cools down a little I actually enjoyed the tea(through the burn tongue pain). By the time I have arrived at work, the tumbler was empty. Around afternoon, I just refilled the tumbler with hot water. the tea was less strong but still quite nice. I was busy all day, so I haven’t noticed anything major. In the evening, I have made the colon tea. I have brewed it for around 5min and drink it before bed. I drank my morning tea at home this day, and just take the empty tumbler (still with the leaves in) to work. As soon as I arrived, I got my morning coffee as always…bad idea.. back to princess room! After breakfast, back to princess room. It cools down after that. I had several cramping my stomach throughout the day as well. Around lunch time, I had my second tea of the loose leaves and got back to my lovely princess room.FFs! It was my day free of a colon tea, so I just went straight to bed. the afternoon was pretty quiet and I only went to my favourite room once in the evening!Yasss! Day4. I wake up and got my morning tea, no trips to the ladies room! Yay! Went to work, quite energised I must say! I took again my tumbler to refill. I did quite a loads that day and actually, I felt lighter (perhaps down to spending all day in princess room yesterday) but it felt great! I decided to be a little more smart with my colon tea today, I only brew it for around the only 1minute. I had my tea went to sleep. I need to add here, that colon tea also helps me sleep. Day5. I wake up before my alarm, went to the kitchen and made my morning tea. I noticed I didn’t have cramps and neither the urge to run to the toilet! YAY! Success! I finished my tea and then, of course, came back to my favourite room. I went to work and pretty much rest of the day went smoothly. I still had the urge of using the toilet more often but it was more buy topamax no prescription online moderate, I know that this is after, I eat and drink. Again, I feel much more energised! I run a workshop, important meeting and done few blogging preparation in the evening! Today is my colon free day, so I just went to sleep with herbal tea instead. I kind of used to the taste in the evening. Weird! Day7. I wake up and it’s Sunday! A quick visit, you know where 😉 and I were ready for my morning tea and… scale check!! I am excited! I wanted a whole week and didn’t want to spoil by cheating! While drinking my Teami Tea, I have jump onto the scale and with a heartbeat, I watch it the number changing…As if! I am down 3kg! 3kg!!! 3 freaking kilos!!! I am all over the moon! I have then measured myself and I lost a whole inch!!! I bloody love this tea!!! I have spent the day in the sun today and I stayed closer to home, as I did had few urge trips. I think 2 within 5 hours so it wasn’t that bad! It’s my day off colon tea but I decided to have an extra one, a little exciting after my morning discovery! Again, I brew it for a 1 minute with a large glass of water before bed. After a week, my scale down is extra 1kg! Again, I drank also loads of water as a bear in mind you do lose water through the course as well, so you do have to intake that! Week3. My team tea detox is going really well! I bloody love it. I feel so much better. My bloating is gone. My stomach is super flat!! My stomach is flat! After my late nights before, eating crappy food my weight went up, especially during winter so this is crazy that 3 weeks and I gone down 4 kilos!! I feel really well, I have tailored the tea around me;) I know exactly when I go toilet and if I have something important I skip the tea in the evening and have extra day throughout the week, it still works great. I am, however, not missing my day tea and I always refill the tumbler! Total kilo’s lost 5kg!!! I am over the moon. I feel lighter, happier and my stomach is super flat! it’s the favourite tea ever. Drink loads of water! Especially before your morning and evening tea! it really makes the cramping go away! Brew your tea for the only 1minute! Literally with the watch in your hand! I find it amazing! Exercise! I did 10min of exercising every other day and also I changed my diet! I didn’t have a takeaway, neither eat loads of sweets & chocolates, rest remain same, I ate normally without a crazy diet! Very important! If you are a waitress or postman or generally a person who works in an environment that sometimes you can’t take a break think to start your diet on your holiday! Be prepared for loads ( I mean loads) of trips to toilet! It will settle down, but the first week is the worst I would say so if you work from office or place where they don’t mind you going often to the toilet, you fine! It may not work for everyone so just be careful! Overall, I love this and I would do it again! I probably will do it every 2-3 months now. It works for me, for my body and I do feel like teami tea blends detoxed my body and works as diet tea for me! 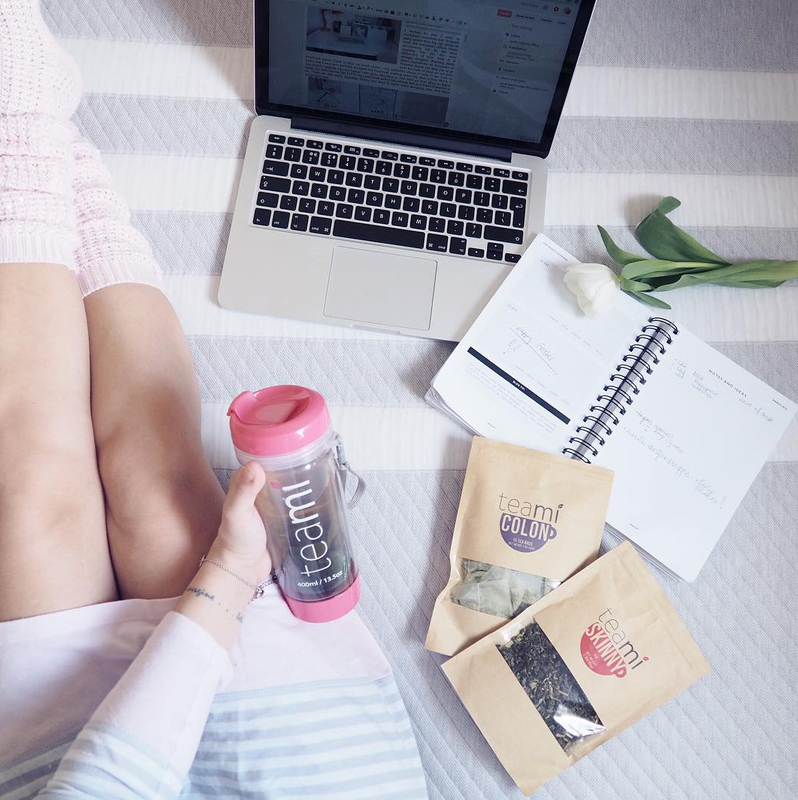 If you want to try the tea; here is my code: DONTCRAMPMYSTYLE to get 10% off!! Enjoy and let me know how you get on! *I was send the tea for review but opinion is entirely my own! Blog First Birthday Tea Party with Next! 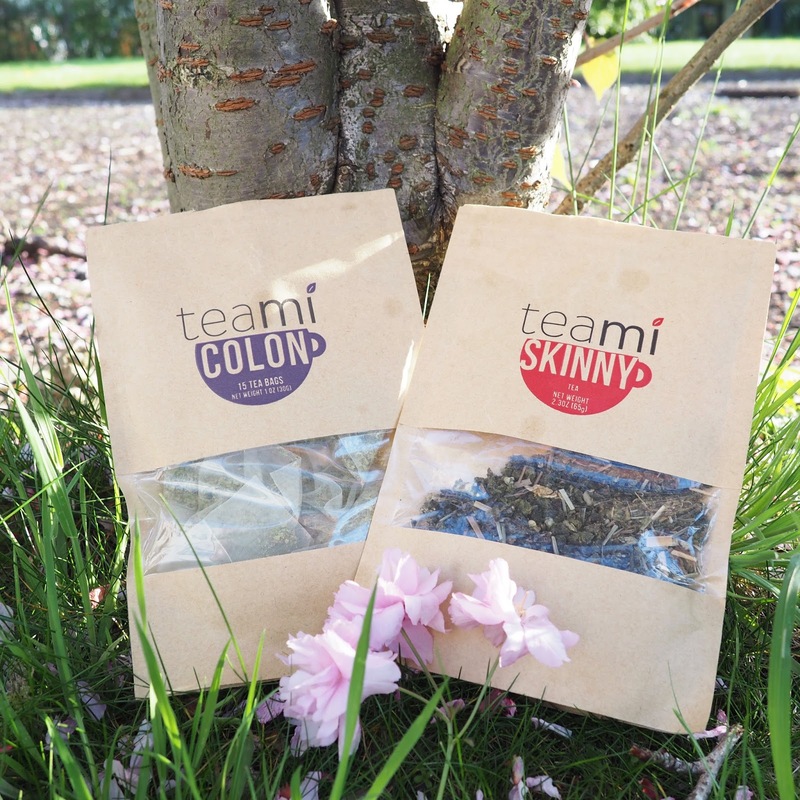 Would strongly urge you not to take the colon tea so often for your own health. It contains senna, which is a type of laxative used to clear the colon before elective colonoscopies. Two doses is what’s recommended for chronic constipation. The NHS does not recommend it to be taken for more than a week. If you take too much of this type of laxative, it makes your colon nerves less responsive, making you dependent on the tea to trigger the bowel movements. Long term use of laxatives is associated with the inside of the colon turning brown, and may be associated with certain colon tumours due to the lesions they cause. I really like how indepth you've gone with your review! 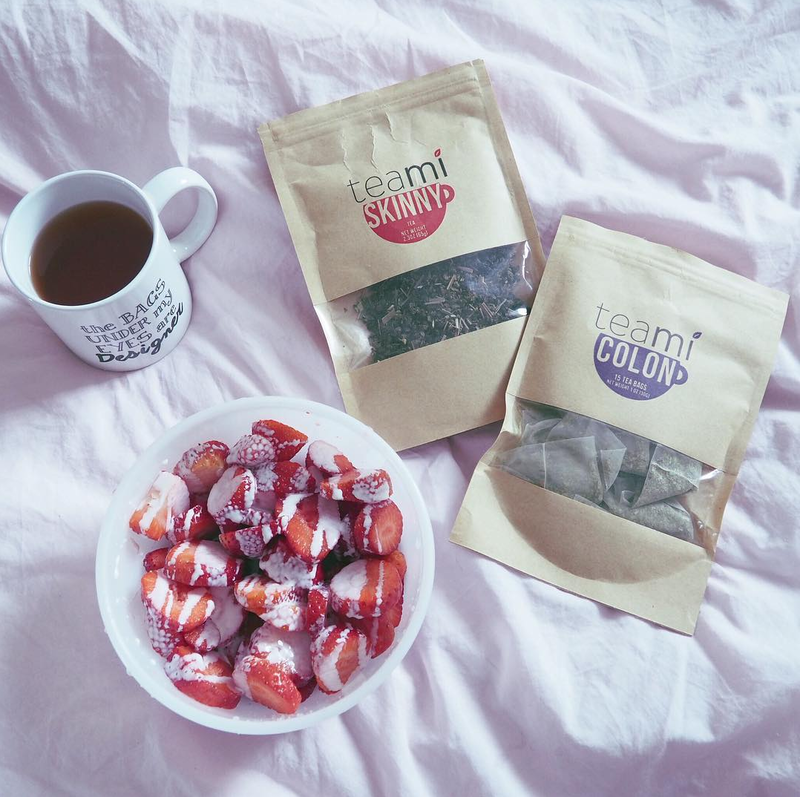 I've never really thought of doing a teatox as I don't like tea, but maybe if I add some things to the formula (fruit?) it might work for me! Your feedback is good and thorough, but I don't think it would be the detox for me, but great news about your results. Really in-depth and honest review which is really refreshing! I have done one (different brand) once before but the stomach cramping was too much for me!! Sounds like you had a fairly good experience. Teatoxes aren't for me, but I'm glad you've found something you like! Thorough feedback, good you lost all that weight. I tried a teatox before but it didn't have any effect on me what so ever, no bowel movement, nothing. So I don't bother with them after that. I'm alot more wary of the effects of these because they interfere with the pill but most or no packages tell people.